Everything you remember from high school ... that you choose to forget. The fans demanded it, and so it has come. Freaks and Geeks, the Emmy award-winning series about the trials and tribulations of outsiders in 1980's Michigan is finally available on DVD in its original form, with all of its original music. The complete series includes all 18 original episodes; the director's cut of the pilot with never-before-seen footage; deleted scenes; outtakes; behind-the-scenes footage and 29 commentary tracks by the actors, writers and directors who made the show. If you wanted it, it's in here. Even if you didn't want it, it's in here. So rock on and enjoy! Since my review of the “standard” six-DVD edition of Freaks and Geeks covered all of the show’s episodes – and filled thousands of words to do so – I’ll omit those parts of this review. If you want to hear my thoughts on all 18 episodes of Freaks and Geeks, click on that link above and enjoy yourself. However, if you’re reading this review, you’re probably already a fan and you want to figure out if you should drop the extra bucks for the Limited Edition “Yearbook” DVD set. That’s the question at hand: is the Yearbook worth an additional $50 or more? Read on and see! Freaks and Geeks appears in an aspect ratio of 1.33:1 on these single-sided, double-layered DVDs; due to those dimensions, the image has not been enhanced for 16X9 televisions. Picture quality displayed some issues, but the shows mostly looked quite good. Sharpness largely appeared solid. The wide shots occasionally looked a little soft, mainly due to the presence of some light edge enhancement. Otherwise, the shows remained nicely distinctive and concise. Some shimmering and jags showed up, but nothing severe. As for source concerns, specks and marks popped up occasionally. These never seemed heavy, but they were a bit more frequent than I’d expect from a recent series. As we learn during the audio commentaries, Freaks used a deliberately subdued and restricted palette. (They wanted to replicate the typical look of NBC TV shows from the late Seventies/early Eighties.) Despite the faded and pale look to the colors, they seemed fine. The hues were displayed with appropriate fidelity and proved more than acceptable. Blacks also seemed nice and dense, and shadows usually were reasonably clean and smooth, though a few low-light shots displayed a little more denseness than I expected. Nonetheless, the image quality for Freaks seemed solid as a whole and merited a “B”. While Freaks and Geeks received a new Dolby Digital 5.1 remix, the results seemed quite average. 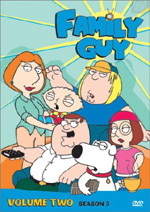 The series presented a very typical “comedy” mix, with a soundtrack that heavily emphasized the forward speakers. Some moderate environmental audio emanated from the front channels and also from the rear, but don’t expect a lot. Music showed decent stereo imaging, but otherwise the mix featured little activity. However, given the fairly chatty nature of the series, this seemed fine; it didn’t exactly boast a zillion opportunities for active audio. Unfortunately, sound quality was a bit more erratic than I’d like. Speech occasionally seemed somewhat stiff; the lines were concise but displayed too much emphasis on the treble end of the spectrum. I also noticed more than a few examples of edginess in the dialogue. Music varied somewhat due to the source material - Freaks used a lot of rock songs – but usually sounded reasonably dynamic and vivid. Effects played a small role in the proceedings but worked fairly well, with decent accuracy and delineation. Bass response seemed pretty solid. The music was nicely robust, and a few effects even kicked the subwoofer into gear; for example, the dodgeballs in the pilot thumped neatly. On the negative side, I noticed a surprising amount of hiss and background noise at times. Ultimately, the audio of Freaks was acceptable but generally mediocre. Packed with special features, Freaks and Geeks includes a slew of extras. All of the ones on discs one through six also appear on the standard version of the set; DVDs Seven and Eight include materials exclusive to the limited edition. If you want to head straight to the parts only found there, skip ahead to where you see “DVD Seven” underlined and in bold. “Pilot”: Commentary 1: executive producer Judd Apatow, series creator Paul Feig, and director Jake Kasdan; Commentary 2: “The Fans Meet Samm” - Michael “Humphries” Beardsley, Arnold “The Vegan” Freeman, Kibbles the Rocker (on phone) and actor Samm Levine. ”Beers and Weirs”: Commentary 1: actors Linda Cardellini and Jason Segel, Judd Apatow, Paul Feig, Jake Kasdan and producer J. Elvis Weinstein; Commentary 2: “The Parents” - Bob Daley (John Daley’s father), Debbie Hagan (Sarah Hagan’s mother) and Jean St. James (Martin Starr’s mother). ”Tricks or Treats”: Paul Feig and actors John Daley, Martin Starr, Samm Levine and Stephen Lea Sheppard. ”Kim Kelly Is My Friend”: Commentary 1: Judd Apatow, director Leslie Linka Glatter, and writer Mike White; Commentary 2: “The Executives” - Justin Falvey (DreamWorks), Shelley McCrory (NBC), Dan McDermott (DreamWorks) and Judd Apatow. ”Tests and Breasts”: Commentary 1: Mr. Fredricks, Mr. Rosso, and Mr. Kowchevski (in character); Commentary 2: Paul Feig and director Ken Kwapis. ”I’m With the Band”: Commentary 1: Judd Apatow, Paul Feig, writers Jeff Judah and Gabe Sachs, and actor Jason Segel; Commentary 2 – “The Production Team” – cinematographer Russ Alsobrook, Judd Apatow, chief lighting technician Curtiss Bradford, Paul Feig (arriving late! ), producer Victor Hsu, costume designer Debra McGuire, and production designer Jeff Sage. “Carded and Discarded”: Judd Apatow, Paul Feig, and actors Linda Cardellini, Samm Levine, Joanna Garcia, Seth Rogen, Dave (Gruber) Allen and Jason Segel. ”Girlfriends and Boyfriends”: Judd Apatow, Paul Feig, writer Patty Lin, Linda Cardellini, John Daley, Samm Levine and Jason Segel. ”We’ve Got Spirit”: “The Fans” - Geoff Black, Tami Lefko, and Eric Williams. ”The Diary”: Commentary 1: Judd Apatow, Paul Feig and writer Rebecca Kirshner; Commentary 2: Judd Apatow and actors Becky Ann Baker and Joe Flaherty. “Looks and Books”: Commentary 1: Judd Apatow, John Daley, Paul Feig, Samm Levine, Martin Starr, Stephen Lea Sheppard, and actors Natasha Melnick and Jerry Messing; Commentary 2: Paul Feig and Ken Kwapis. ”The Garage Door”: Commentary 1: Judd Apatow, John Daley, Paul Feig, writers Jeff Judah and Gabe Sachs, Seth Rogen and actor Sam McMurray; Commentary 2: Paul Feig, Samm Levine and director Bryan Gordon. “Chokin’ and Tokin’”: Judd Apatow, Seth Rogen, Martin Starr, actor Sarah Hagan and director Miguel Arteta. ”Dead Dogs and Gym Teachers”: Judd Apatow, Sarah Hagan, Seth Rogen, Martin Starr, writer Bob Nickman, and actors Claudia Christian, Busy Philipps and Tom Wilson. ”Noshing and Moshing”: Commentary 1: Judd Apatow and actor James Franco; Commentary 2: director Jake Kasdan and composer Michael Andrews. ”Smooching and Mooching”: Commentary 1: John Daley, Paul Feig, Samm Levine, Natasha Melnick, Jerry Messing, Stephen Lea Sheppard, and Martin Starr; Commentary 2: “The Girls” - Linda Cardellini, Sarah Hagan, Joanna Garcia and Natasha Melnick. ”The Little Things”: Judd Apatow, Seth Rogen, and writers Mike White and Jon Kasdan. ”Discos and Dragons”: Judd Apatow, Linda Cardellini, John Daley, Paul Feig, Samm Levine, Stephen Lea Sheppard, and Jason Segel. Hoo boy – where to start? I sat through all 28 of the commentaries, but won’t even remotely attempt to cover all of them – that’d take forever and drive both of us insane. These fill about 21 hours, and that’s a lot of listening! First I’ll comment on the negative parts of the tracks. Two themes often appear: reams of praise for the series and all involved, and mucho discussion of its premature conclusion and cancellation. Everyone tells us the series was great and they gripe about its untimely end. Yes, the series was great, and no, it shouldn’t have been cancelled, but these issues get a little old around hour 10 or so. Despite those factors, I mostly really enjoyed the commentaries. For one, it’s great that every main actor – and more than a few supporting ones – pop up for at last one track, and many show up more than that. The commentaries clearly feature an excellent array of participants. Unsurprisingly, series head honchos Feig and Apatow dominate; only five of the 28 fail to include one or the other. This makes sense and brings a good sense of continuity to the commentaries. The tracks also present a surfeit of information. We find notes about the series’ origins, the real-life roots of many storylines and bits, scads of anecdotes from the set, and a lot of fun goofiness. You’ll learn a ton about the series across these discussions. I also really like the commentaries that take an unusual angle. The two fans’ pieces tend to seem even more praise-filled than the others, but they still present a useful viewpoint. Of the other quirky tracks, “The Girls” is probably the best. It feels like a slumber party as they dish dirt and relate lots of funny tidbits. Surprisingly few examples of dead air occur across the various tracks, and they rarely become dull or tedious. 21 hours of commentary occasionally became a chore, but mostly I really liked these chats and I think they add a lot of value to the package. Each episode comes with deleted scenes. We find a minimum of two segments per show and up to a maximum of six for a total of 70 excised segments. When added together, these fill 95 minutes, 54 seconds. Don’t expect a lot of buried treasure here, and don’t expect solely true deleted scenes. Many of them present outtakes or extensions to existing segments. However, while few seem genuinely notable, we get a pretty decent number of good bits. Most deleted scenes deserved to be deleted, but a fair percentage of these seem quite good. It seems clear more than a few got the axe due to time constraints, so we find some very entertaining material. Even those that might not have fit in the finished episodes still seem fun. It helps that the clips often expose the film that appears just before and after the actual scene, so we get some brief glimpses behind the scenes. Overall, this collection offers a lot of entertainment and good stuff. 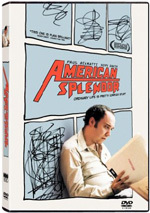 We can view the deleted scenes with or without commentary from Judd Apatow, Martin Starr and John Daley. These chats seem pretty hit or miss. Occasionally we get some useful information, but a lot of the time they struggle to fill the space. However, even those moments provide some amusement, especially when Apatow argues that DVDs include too much space and they don’t need to fill all of it. I didn’t learn a lot from these commentaries, but they proved to be sporadically funny, which made them worth the listen. Spread across the first four DVDs, we get various auditions. These present tests for Linda Cardellini (two minutes, 17 seconds) and Jason Segel (2:20) on DVD One, John Daley (1:55), Samm Levine (0:42), Martin Starr (1:31) on DVD Two, Seth Rogen (1:22) on DVD Three, and Busy Philipps (1:16) on DVD Four. These are very entertaining to see, especially when we compare their work here with their more developed characters on the show. Actually, most of the personalities seem pretty fully-formed. Starr’s audition and the final evolution of Bill seem the most different. Also on DVD One, we get four promos. Behind the Scenes snippets appear on the first four discs. DVD One’s shows Cardellini and Daley messing around on the set and acting an awful lot like they’re really brother and sister. On DVD Two, the two-minute and 54-second piece compiles many shots of Daley acting really hyper. It culminates in the sight of the young actor eating a bowl of food really quickly. DVD Three’s piece shows 55 seconds of Busy Philipps making faces and noises for the video camera. Heading to DVD Four, the “Behind the Scenes” snippet goes for 66 seconds and offers Samm Levine clowning and getting stuck in a locker. These clips don’t seem spectacular, but they present a fun look at the set. 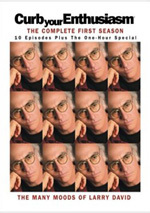 Two collections of bloopers make it to DVDs Five and Six. The first runs two minutes and 57 second, while the second fills two minutes, 24 seconds. These compilations include some of the usual goofs, but they toss in a few improvs and pranks, so they seem more fun than usual. Disc Five also presents an SCTV Promo. Disingenuously, it includes a few small clips that don’t appear on the upcoming DVD set. Thanks finishes off the set on DVD Six. DVD Seven opens with a table reading. This presents the cast’s first read-through of the script for “Kim Kelly Is My Friend” and lasts 49 minutes, 33 seconds. All the main actors appear, though Starr arrives late. A few minor differences between this draft of the script and the final product appear, but not a ton. In any case, this is a pretty cool extra. It’s fun to have a look at this stage of the production process. Next we find a question and answer session from a session at the Museum of TV & Radio. This took place on March 11, 2000, and it fills 72 minutes and five seconds as we hear from Becky Ann Baker, Joe Flaherty, Dave (Gruber) Allen, Seth Rogen, Martin Starr, Busy Philipps, Samm Levine, Jason Segel, John Daley, Linda Cardellini, Jake Kasdan, Judd Apatow, and Paul Feig. First they introduce a scene compilation plus “I’m With the Band”; logically, the program skips these and heads straight to the Q&A. At the start, the moderator asks about the development of the series, the concepts behind some story ideas, auditions and character development. From there we find the audience questions. They cover topics like why “Kim Kelly Is My Friend” didn’t air and some notes about it, how Levine got his gags as a mascot, writing the female characters, the music choices and licensing, the choice to make the series an hour long instead of half an hour, why they chose to dress Starr as the Bionic Woman for the Halloween episode, and a few other issues. Given the breadth of material found on the first six discs, inevitably we hear many of the same stories here. A few new bits appear, but not a ton. Much of the audience participation simply consists of griping about NBC’s treatment of the series as well as the fans’ reverence for it. Apatow and Feig dominate and give us some decent notes, but don’t expect revelations, as much of the information also shows up elsewhere. Five more deleted scenes appear here. We get one each from “We’ve Got Spirit”, “Dead Dogs and Gym Teachers” and “Discos and Dragons” plus two from “The Little Things”. All together, these last eight minutes, 28 seconds. These aren’t the best unused snippets we’ve seen, but they’re still fun to watch. We can watch the deleted scenes with optional commentary from “Sam Weir and Bill Haverchuck”. Yes, that’s John Daley and Martin Starr in character. They tell us what they’ve been doing over the last five years and make some general comments about the scenes. Nothing special shows up in this chat, but it’s still enjoyable to hear the actors talk about their characters’ lives. Next we get additional auditions. We find clips for Cardellini (twice), Segel, Rogen, Daley (twice), Starr, Levine, Sarah Hagan (twice), Natasha Melnick, Chauncey Leopardi, Mark Allan Staubach and Shaun Weiss. When combined, all the auditions last 21 minute, 46 seconds. These are similar to the auditions seen earlier and continue to provide interesting moments. The Rogen and Weiss clips seem particularly intriguing, since both snippets show their auditions for roles they didn’t get and contrast with the material that immediately precedes them. Called “Smorgasbord”, the final area of DVD Seven gets into a number of different topics. Raw Footage covers four different scenes: “Nick’s Drum Kit” (from the “Pilot”), “Dinner Scene – Lindsay’s coverage (“Pilot”), “Bill Will Drink Anything” (“Tricks and Treats”), and “Harris and Judith” (“Tests and Breasts”). All together, these last 11 minutes and 17 seconds. These consist of single camera, single takes for the scenes in question. That doesn’t sound very interesting, but in reality, these prove to be a lot of fun. They offer a “fly on the set” feeling and show some alternate material. In addition, it sounds like Samm Levine fills in for John Daley in “Dinner Scene”. 10 random segments pop up in Odds and Sods. This section runs 10 minutes, 49 seconds and essentially resembles the footage seen in the prior area. We find short snippets with little bits of scenes. They’re not as cool as those before them, but they’re still worth a look. Some musical moments appear during Long Live Rock!. This features Millie and Nick on “Jesus Is Just Alright” (two minutes, 16 seconds), plus two versions of Alice Cooper’s “I’m Eighteen” from Mr. Rosso. We get both the acoustic (2:25) and electric (2:41) renditions. All of these offer more raw material, as we see full, unedited versions of the songs in question. “Smorgasbord” continues with the Sober Students Improv Players. This five-minute and two-second clip presents still more uncut footage via the entire take of the anti-substance abuse improv. Tales of the Secret Service takes seven minutes, 17 seconds. Ben Stiller shows up here and gives lots of variations on his job complaints. These continue to offer interesting shots. DVD Seven concludes with Photo Galleries. “Spot the Writers” includes 10 stills from the episodes; they spotlight cameos from series writers. In “Publicity Stills”, we get 32 posed photos. Both sections seem useful, but “Writers” is especially fun. As we go to DVD Eight, we find materials that echo those on the prior platter. Two more table readings show up here. We get one for “I’m With the Band” (47 minutes, 11 seconds) and another for “Girlfriends and Boyfriends” (51:42). These work exactly like the earlier one and continue to be a lot of fun and insightful, especially via the variations between the initial script and the final shows. Two different sections comprise the NBC promos. We get the “original NBC electronic press kit”, which runs 24 minutes and includes interviews with Linda Cardellini, John Daley, Samm Levine, James Franco, Busy Philipps, Jason Segel, Martin Starr, Seth Rogen, Joe Flaherty, Becky Ann Baker, costume designer Debra McGuire, and prop master Chuck McSorley. Awkwardly edited, a few interesting tidbits appear, but don’t expect much. Those sound bites fill the piece’s first 14 minutes or so, and then we get about seven minutes of show clips. The kit ends with some behind the scenes snippets that are mildly interesting but too short to give us much, especially since additional choppy editing makes them flow poorly. Next, “Five More Promos” echo the ads found back on DVD One and present five short commercials. Behind the Scenes includes video footage from the set that lasts a total of 10 minutes and 34 seconds across its four segments. Except for a tearful wrap sequence, these offer the same kinds of goofy bits that appeared on the first few discs, and they continue to be a lot of fun. Still more auditions appear on DVD Eight. We find clips for five in “F&G Alternate Universe”; these offer looks at Linda Cardellini as Kim Kelly, Samm Levine as Sam, Busy Phillips as Lindsay, Seth Rogen as geek, and Joe Flaherty as Mr. Fredricks. (I don’t know why the menu calls Rogen’s audition the generic “geek”, for it’s actually Bill.) These occupy a total of 11 minutes. Although other auditions areas include actors who try out for roles they don’t get, this section feels different because all of the try-outs feel really wrong. Rogen’s Bill is the most painfully bad, while Flaherty’s Fredricks is almost acceptable, but none of them seem appropriate for the roles. “The Authority Figures” presents two clips each for Becky Ann Baker and Lea Sheppard and one apiece from Flaherty, Dave Allen, Steve Bannos, and Tom Wilson. All together, they fill 10 minutes, 48 seconds. Oddly, neither of Sheppard’s auditions are for Harris; instead, he tries out for Neal and one of the secondary freaks whose name escapes me. I have no idea why his clips end up in “The Authority Figures”, but this remains another good collection of auditions. Another “Smorgasbord” rounds out DVD Eight. Many of these pieces continue the material found on the prior disc. Raw Footage goes for five more scenes: “Beautiful Body” (“I’m With the Band’), “Howie Hands Out Fake IDs” (“Carded and Discarded”), “Nick Sings ‘Lady’ to Lindsay” (“Girlfriends and Boyfriends”), “Geeks Watch SNL” (“The Garage Door’), and “Bill’s Reward’ (“Smooching and Mooching”). These fill 13 minutes, 33 seconds with the same form of one-camera takes. Odds and Sods follows with another 12 minutes, 59 seconds of clips. A very cool addition, we find the complete script for an episode called The Bus. Planned to air in the location eventually occupied by “Smooching and Mooching”, this program went unfilmed. It’s a lot of fun to check out the script and see what would have unfolded. We get an odd kind of music video via Seven Minutes in Heaven. This combines clips from Bill and Vickie’s big make-out scene with Exile’s song “I Want to Kiss You All Over” and lasts 109 seconds. It’s not very interesting. Graduation goes for two minutes, 31 seconds. It presents a ceremony to honor Seth Rogen, Martin Starr and Samm Levine, all of whom actually should have graduated high school at that time, I guess; the DVD doesn’t offer any explanation. It’s mildly interesting. Finally, Thanks, Goodbye gives us a two-minute and 48-second clip. It riffs on the Sam/Cindy dance sequence from the “Pilot” and offers a compilation of clips set to that episode’s Styx song. I guess it acts as a swansong, but it seems somewhat pointless. Finally, this package includes a full faux yearbook. This presents tons of different elements. It repeats everything from the booklet found in the standard release. Those parts include an introductory “Letter from Paul” Feig – in a longer version called “Greetings from the Front Office” - plus “The Answers to Questions You Haven’t Asked” by Judd Apatow, and many production and publicity stills, a lot of which didn’t show up in the smaller booklet. We also find credits and comments for all 18 episodes. These toss in fun bits like the songs heard in each show plus Feig’s notes on the programs. In addition to the repeated parts, many new bits appear. Everything comes presented in a form that looks just like a high school yearbook. That means some of the candid photos get goofy captions, and we also find inscriptions from the various characters. Two pages of notes to Sam appear and also two pages of comments for Lindsay. What else? “From Our Favorite Substitute Teacher” presents an essay authored by occasional director Jake Kasdan, and “Jeff Rosso” provides a valedictory note to the Class of ’81. High school pictures of some Freaks staff appear as well as photos of fans who supported the release. Actor Shawn Soong offers an essay as a representative of the series’ recurring minor characters, while Michael “Humphries” Beardsley tells us “10 Hidden Secrets About McKinley High”. “Dave the Moderator” writes about the series’ Internet support, and fan Jeff Mills discusses his devotion to the show plus his song, “The Ballad of Freaks and Geeks”. Apatow’s “How I Got Kicked Out of High School” presents excerpts from his journal during the series’ production, and “Too Good and Weird” gives us a May 12-18 article about the show originally printed in the LA Weekly. “Thanks” from Apatow and Feig finish the package along with a memorial statement for Millie’s dead dog Goliath. That’s it, and it’s a lot! In the annals of late, great lost TV treasures, Freaks and Geeks might go down as the best. Impeccably acted, tightly written and directed, and terrifically entertaining, the series died before its time. At least we get this terrific DVD set. It presents good picture, average audio, and a superb package of extras highlighted by hours and hours of commentary. I highly recommend this excellent show and DVD package. So the question becomes: which Freaks to buy? Unquestionably, this limited edition is a special piece of work. However, it sells for a whopping $120 – shipping included - and can only be purchased online at http://www.freaksandgeeksdvd.com. The “standard” version lists for $50 less that that, but since you should easily be able to get it at a discount, the difference becomes even more substantial; you may well have to pay more than $70 extra for the limited edition. While I truly loved the LE, I just can’t recommend it to too many fans because of the price. $50 to $70 for a yearbook and two extra DVDs seems awfully steep. If the money doesn’t matter to you, go for the LE; you’ll be very happy with it. Otherwise, it seems tough to justify the extra expense for this undeniably excellent package.